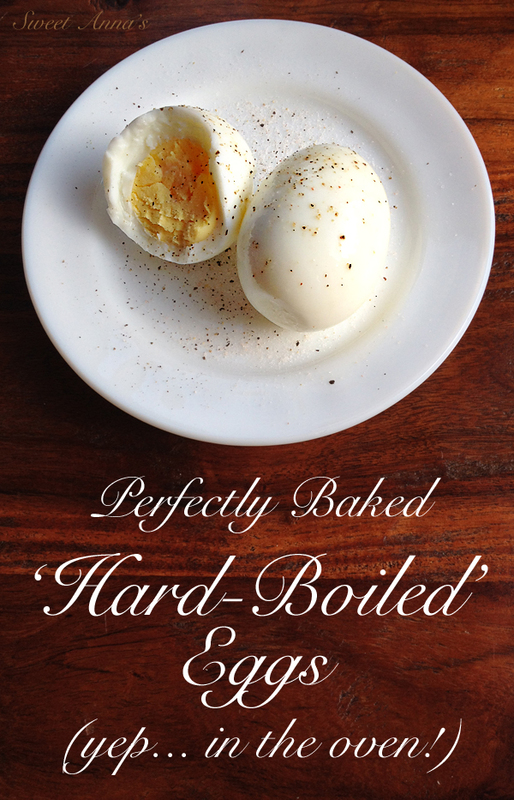 I know you’ve got some hardboiled eggs coming up in your near future. Pink, green, yellow, blue, purple… ringing a bell? Yep, Easter will be here before we know it, and trust me… You will want to bake your eggs this year! Place eggs in a mini-muffin tin. As many as you'd like to cook! Place the tin full of eggs in the oven and bake for 30 minutes. Take the tin out and use tongs to transfer the eggs to a bowl of ice water to cool for 5-10 minutes. Peel (using this amazing trick if you don't need them to be peeled whole!) and enjoy! 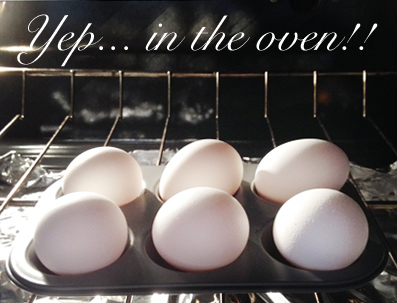 You may want to try this out once on a few eggs, before you bake your 4 dozen easter eggs at once… just to make sure your oven runs the same as mine and doesn’t need a few more or less minutes to cook the eggs! Also, your eggs may have a bit of a brown spot where they were touching the metal. Sometimes, and sometimes not. It may just rinse off the shell… it may be all the way in to the white. Doesn’t bother me or my family one bit, but I just wanted to warn you!